Even though our mobile phones have evolved from just a gadget we use in making calls and sending text to one of our daily necessities, phone calls still remains one of the most important functions of our phones. If you are the type that makes voice calls a lot, then you will know how much battery life your phone consumes on phone calls, but have you ever thought about making calls without having to worry about battery at all. 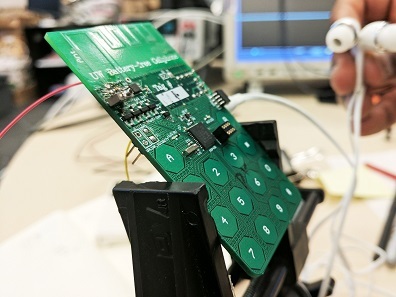 A group of researchers from the University of Washington in Seattle (United States) has just created the prototype of a mobile phone that can do just that. The new prototype which is the result of a year of work by this team was created with the objective of having a mobile phone that can make calls without a physical battery as it has the ability to obtain energy from the air itself. The technology which was inspired by ideas of Soviet spies during the Cold War works by drawing energy from the surrounding environment and wireless transmission signals. The technique is called “Backscatter”. The mobile without battery uses certain remote components to save energy. For example, there is a base station with circuits for conversion and connection to the digital mobile network, which is currently Skype. The prototype only activates with determined frequencies and can not be separated from the base more than 15 meters. For now, the phone can't be manufactured commercially as there are still lots of limitations. The audio quality needs to be improved and also, the phone is still analog which means you can't talk and listen at the same time. According to the team, lots of improvements are still ongoing and the phone might be available for the public in the future.